Directed by Muta’Ali, this is the first project from the initiative created in 2017 by award-winning non-fiction production company, Lightbox, and the American Black Film Festival (ABFF) to foster diversity in documentary filmmaking. Miami, (June 18, 2018) – HBO has greenlit Storm Over Brooklyn, the winning project of the inaugural Feature Documentary Initiative created in 2017 by award-winning production company Lightbox and the American Black Film Festival (ABFF), as part of their joint initiative to foster diversity in the feature documentary arena. 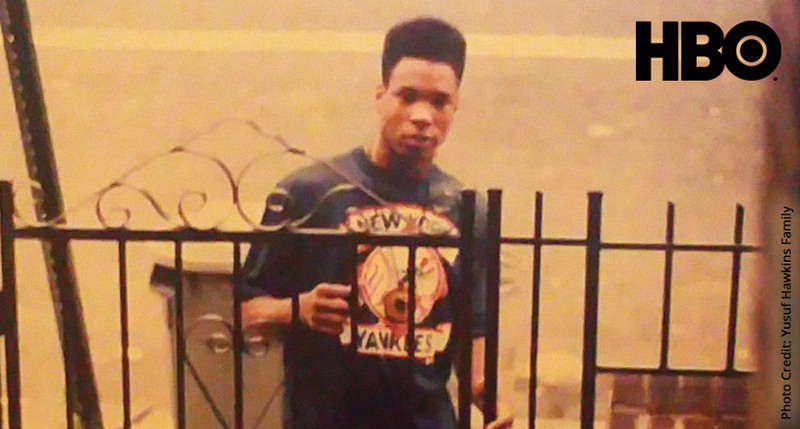 Storm Over Brooklyn is a feature documentary, directed by Muta’Ali and tells the story of Yusuf Hawkins, a black American teenager who was shot and murdered after being trapped by a group of white youths in Bensonhurst, Brooklyn, on the evening of August 23, 1989. Sixteen-year-old Hawkins had come to Bensonhurst with three friends to look at a used car, when they were attacked by the hostile mob, whose members mistakenly believed that Hawkins was dating a neighborhood girl who was white. The incident shocked New York and the world and unleashed a torrent of racial tension in an already divided city and led to televised protests and marches. The growing unrest contributed to the ousting of New York City Mayor Ed Koch in favour of David Dinkins, who became the city’s first — and as of now, only — African American mayor. Storm Over Brooklyn was conceived by director Muta’Ali and selected from more than 300 submissions to the initiative, which was open to all African American documentary filmmakers and any documentary filmmakers interested in exploring non-fiction stories and themes that speak directly to the African American experience. “It’s an honor to partner with HBO Documentary Films on Storm Over Brooklyn which is a natural extension of the ABFF HBO relationship. Together, we have been fostering diverse storytellers in the narrative space for 22 years. Expanding into the documentary space and production is a very exciting opportunity for ABFF and the filmmakers who come through our talent pipeline programs. We could not have wished for a more fitting home than HBO,” said Jeff Friday, Founder & CEO of ABFF Ventures, LLC. Lightbox and the ABFF announced today that the second year of this multi-year program will open for entries on July 18, 2018. Go to www.abffventures.com for more information. Selected films will be developed and produced by Lightbox and ABFF Studios, leveraging Lightbox’s success in producing award-winning and commercially successful documentaries, with the ABFF’s unparalleled pipeline and record of accomplishment for identifying many of the industry’s most promising Black filmmakers. This collaboration will help to elevate unique perspectives and vision in the documentary space. Storm Over Brooklyn is directed by Muta’Ali and executive produced by Jeff Friday, Simon Chinn and Jonathan Chinn. Academy Award®-winning directors Daniel Lindsay and TJ Martin, who directed Lightbox’s Emmy® award-winning feature documentary about the 1992 Los Angeles riots, LA 92, have also come on board the project as Executive Producers and supporters of the initiative.